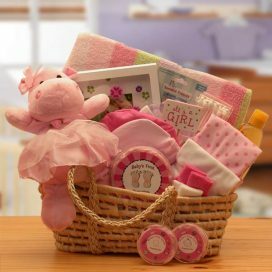 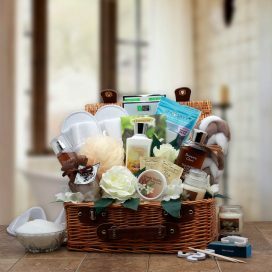 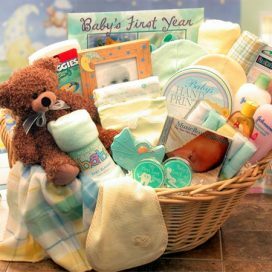 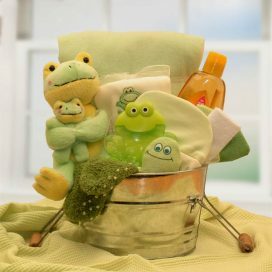 Celebrate the arrival of the new bouncy baby with this unique New Little Monkey baby gift basket. 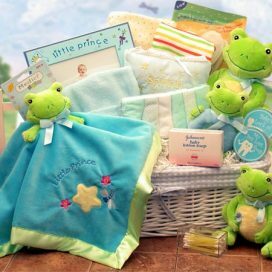 The plush monkey, matching baby security blanket and rattle will be treasured toys for years to come…………..A New Little Monkey Gift Basket includes: Plush monkey, plush monkey security blanket w/ teether, plush monkey rattle, baby footprint kit, baby’s first tooth and hair keepsake box, Johnson & Johnson baby wash, Johnson & Johnson baby shampoo, baby brush and comb set, 100% cotton baby bodysuit, 100% cotton baby beenie, 100% cotton bootie set, baby teether, receiving blanket, fabric lined hamper. 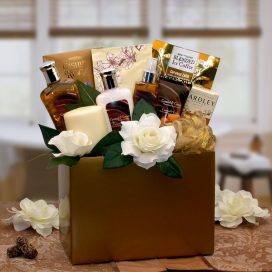 This gift measures 12″ long by 10″ wide and 13″ tall and weighs 6 pounds. 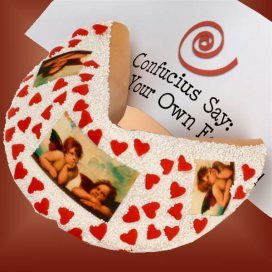 This gift comes wrapped in cellophane and is topped with a handmede bow.